Flynn left the White House on Monday as his connections to Russia faced mounting scrutiny. General Michael T. Flynn has resigned as President Donald Trump's national security advisor, according to CNN. His departure comes hours after The Washington Post's report that the retired United States Army lieutenant potentially misled Trump administration officials about his communications with Sergey Kislyak, the Russian ambassador to the United States, and that the White House had been warned that Flynn may be vulnerable to Russian blackmail. 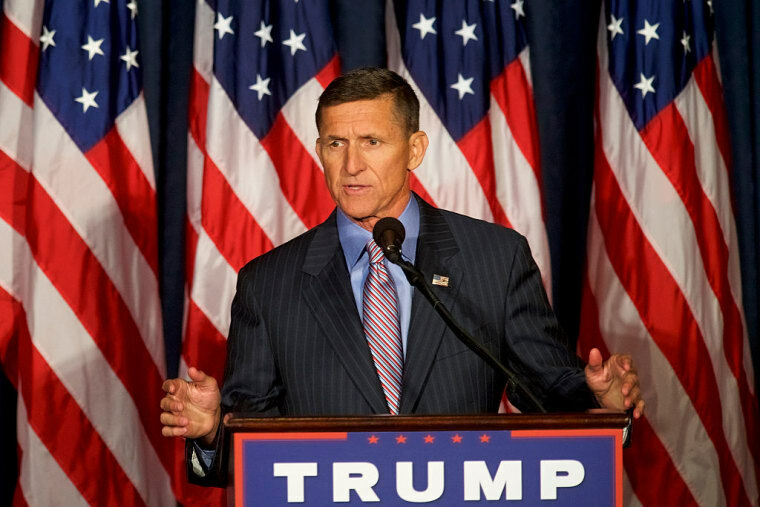 Flynn's relationship with Russia began to receive national attention in January when it was revealed that he may have discussed the possibility of ending sanctions on Russia with the country's ambassador before Trump took office. Such a discussion would be illegal under the Logan Act, which prohibits unauthorized citizens from negotiating U.S. affairs with foreign governments. The Trump administration denied these claims, sending Vice President Mike Pence to appear on CNN in January to deny them. However, the intelligence community believed otherwise, and last Friday, current and former U.S. officials told the Post that Flynn and Kislyak had discussed sanctions. On Monday afternoon, Counselor to President Donald Trump Kellyanne Conway said Trump had "full confidence in General Flynn. "Minutes later, however, [Press Secretary Sean] Spicer delivered a contradictory statement to reporters," reports The Washington Post.